To create an account in our shop, please click on link “create an account” or click on button in the upper right corner “log in” (and then “create an account”). Then complete required fields: name, surname, e-mail (and if You have company – please also complete company name and tax identification number). Also please also complete password to Your account – according to Your choice. Registration as a client is very comfortable. Customer has assurance that this order will be executed quickly, faster than e-mail or phone's orders. 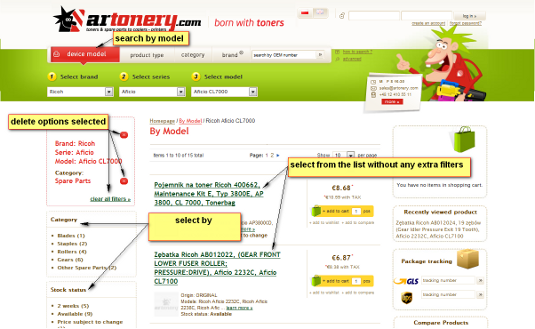 www.ARTONERY.com gives you many possibilities to search and sort goods by appropriate parameter. Customer can search products by several ways: by model, by type, by category, by brand, and also in classical advanced way. Depending on searching way, at various stages, you receive different results, f.ex. 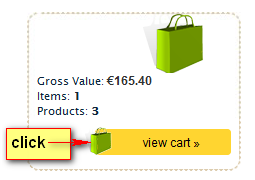 If You decided to buy concrete product which is in shopping cart, please end order process.